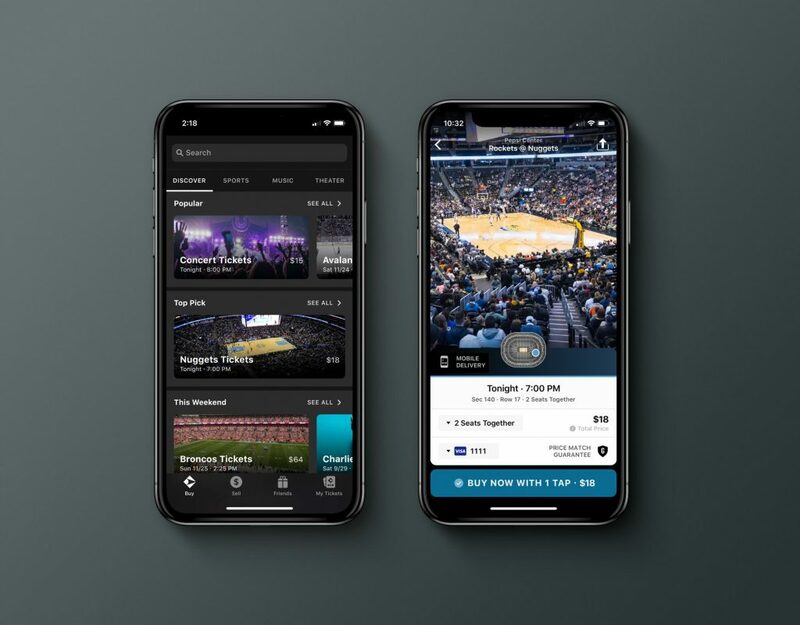 Brad Griffith set out to disrupt the ticketing industry when he founded Gametime in late 2012, an app aimed at millennial and gen-z sports and entertainment fans looking for last minute tickets while on the go. Now, he and his team are taking it one step further. On February 7, Gametime announced the launch of LastCall, “a new way to get into live events up to 90 minutes after the start,” according to the company’s release. Griffith explains that the inspiration behind this was the younger generations of event-goers, who are turning the act of purchasing tickets as games and concerts begin – or even after they have already started – into the norm. To be clear, Gametime and its competitors such as StubHub, Vivid Seats and others currently offer options to purchase tickets after events have begun. On February 6, for example, all three platforms were still selling tickets to the Denver Nuggets vs. Brooklyn Nets game at Barclays Center at the end of the first quarter. A primary difference with LastCall; however, is that the company will actively promote the option, attempting to make it a conventional way tickets are purchased as trends change among teenagers and those in their 20s and 30s – demographics that make up 70% of Gametime users. Griffith said that he is “going all in on mobile” due to the data they have seen from their customers. Seventy-two percent of all Gametime sales happen the week of an event and 60% of those occur during the 36 hours leading up to start time. By introducing LastCall, Gametime is making a big bet on a new wave of fans and their tendencies. “10 years ago, I don’t think fans wouldn’t have entertained the idea of purchasing tickets late to any event but with the rise of mobile, fan behavior has evolved. Whenever you can give someone their time back, that’s extremely valuable because time is our most precious asset,” Griffith said. In response to this new initiative, Griffith said the reaction from venues and leagues has been positive. He noted declining numbers across the board, including Major League Baseball attendance down 4% in 2018 and an 11% decrease in attendance from the top 100 concerts last year. He believes providing an additional, convenient and inexpensive option to actually show up at events will drive attendance in the right direction. Yet, despite its benefits, what is to stop users who know they will be attending an event, to refrain from purchasing their tickets just long enough to receive the discounts – some of which are as much as 78%, according to Griffith. In a case of classic irony, this would possibly hurt sellers and in turn, the venues and leagues. Griffith; however, does not foresee that being an issue. Neither LastCall and its dynamic pricing nor any other ticketing platform can compete with the memorable moments its customers will experience.